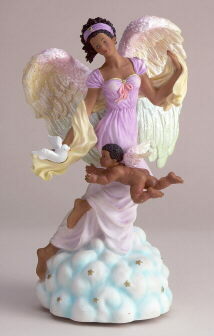 Music from the heavens, as this angel and cherub send us a seranade from on high. Alabastrite. Tune: "Wind Beneath my Wings." 5 1/2" x 4 1/4" x 10 3/8" high.